A list of our circular economy talks, workshops and conferences – perhaps we can meet you there! We need to redesign our “waste economy”. We extract around 90 billion tons of natural resources, every year, to make what we consume. That’s more than 12 tons for every person on the planet. Based on current trends, that number is expected to double by 2050. We’ve created systems that are shockingly wasteful. We recover less than 10 per cent of our resources to make them into new products. Now, disruptive, circular innovations are changing that, by creating stronger, more resilient, sustainable systems. It means rethinking the way we make, use and reuse everything. 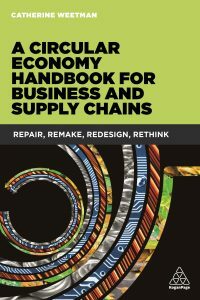 Is your business ready to go circular?